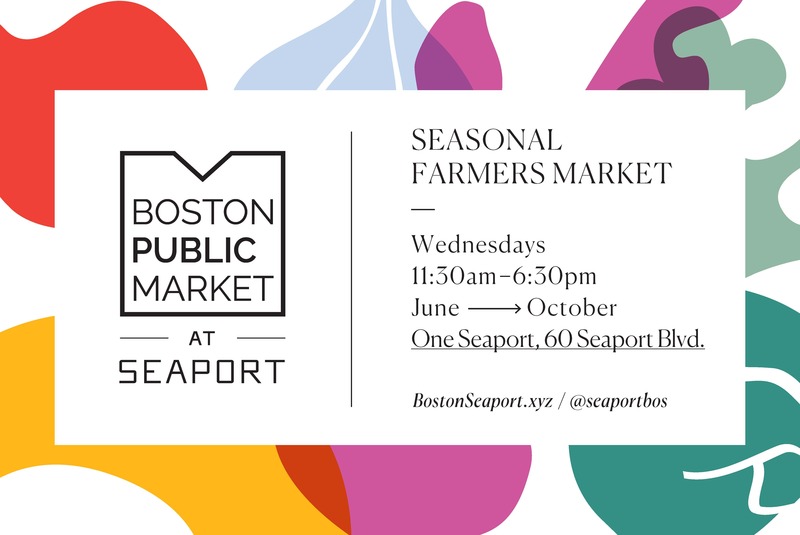 The Boston Public Market Association is coming to Seaport for this summer’s farmers market at One Seaport every Wednesday, 11:30am-6:30pm, June through October. Find fresh, seasonal food from local Massachusetts and New England vendors offering produce, meat, seafood, bread, prepared food, and more. Seaport residents, workers, and commuters alike will find groceries, lunch on-the-go, and picnic fare conveniently located in their own neighborhood. A Rockland-based café and bakery known for providing nearly a dozen flavors of tea-breads, cakes, cupcakes, cookies, muffins, bars, and granola to local suppliers. All items are natural, made from scratch, and free of trans fat, preservatives, artificial ingredients, and GMOs. *Will alternate weekly with Yummy Mummy Brownies. A local family owned business that makes snacking healthy and delicious with creative variations on nuts. A Boston based seafood wholesaler carrying seafood from over 1,000 small, independent New England fishing boats and sustaining the livelihoods of American fishermen and their families. A family-owned farm from in Lunenburg and Braintree, taking great pride in providing the freshest, most beautiful fruits and vegetables, amazing plants, and healthful meats. A true family farm that produces premium grass-fed meats and pastured poultry from farmsteads in Hardwick. Animals are raised in natural environments and all-natural diets. Embracing regional Italian cooking and its varied culinary traditions with freshly made pastas, breads and desserts alongside cured meats, poultry, and beef. A New England bakery representing old-world, artisan breads baked fresh from scratch every day, and using the finest organic, natural ingredients. A Westborough bakery featuring brownies, donut muffins, whoopie pies, coconut cake, freshly baked cookies, and brownie bark. All brownies are handmade in small batches, made with all-natural ingredients, and preservative free. *Will alternate weekly with Baking with Joy.